Redistricting in North Carolina is a tangled web that even experts often have a difficult time unraveling. WRAL’s Tyler Dukes is trying to make things a little clearer for North Carolina voters via a map that shows exactly how their districts have been affected by redistricting. The map highlights the before and after of redistricting in the House and Senate. 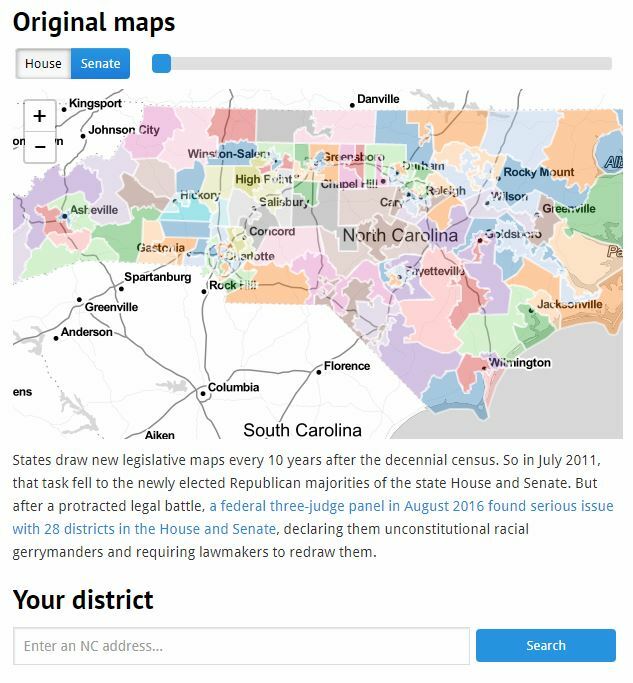 North Carolinians can enter their exact address to see how their specific districts have changed and who their representatives are. Check it out here.